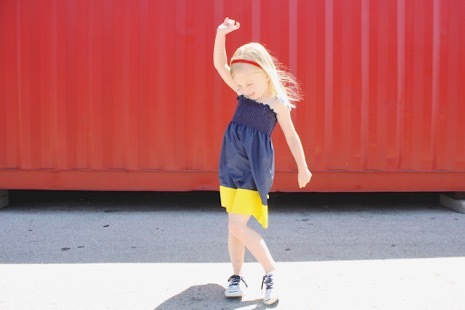 It’s the first day of our Don’t Fear the Fabric series! 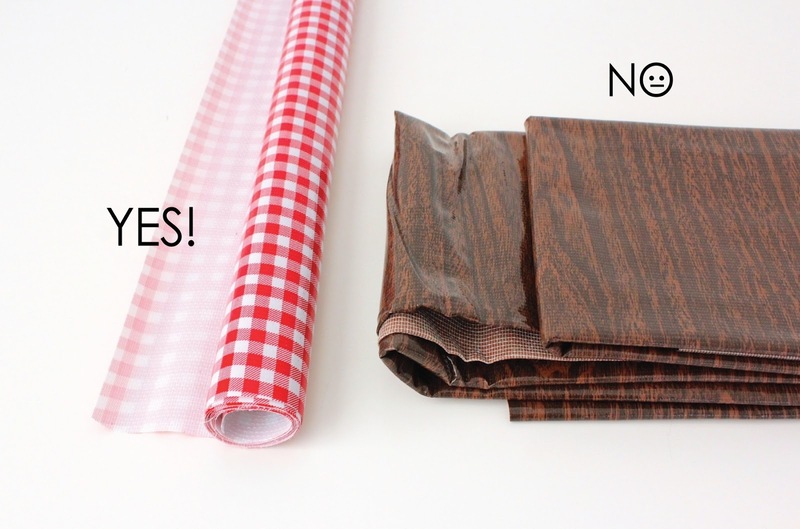 I’m tackling Oilcloth and Kate’s talking about Leather. 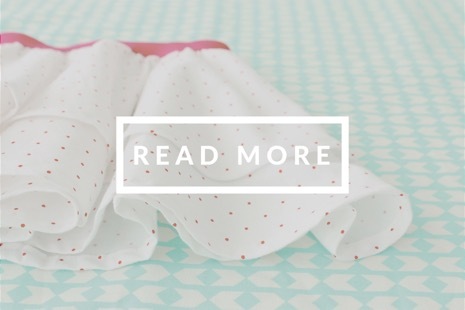 So make sure you hop over to her blog when you’re done drooling over these happy fabrics. 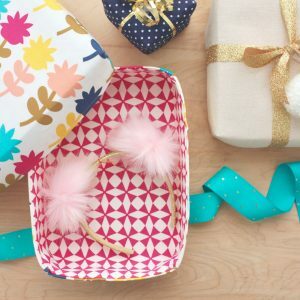 Seriously though, doesn’t the look of Oilcloth just make you….happy? 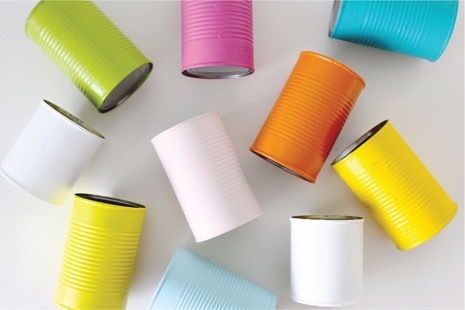 It’s bright and colorful, cheerful and peppy, and the slick/plasticy finish feels a bit retro—maybe it reminds you of a fun pastime or a great restaurant you once ate at? Oilcloth fabric just evokes happy emotions. At least that’s how it makes me feel. 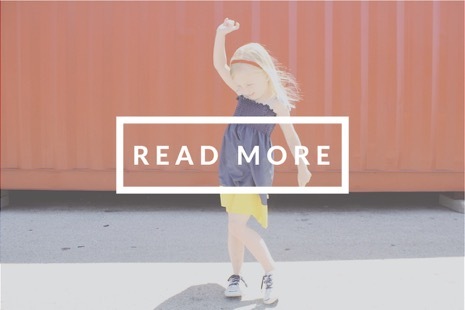 I guess that’s why I want to blog about it…and buy it in every print design! Yikes. I might have an oilcloth problem. Of course buying fabric is never a problem, as long as you actually do something with it. 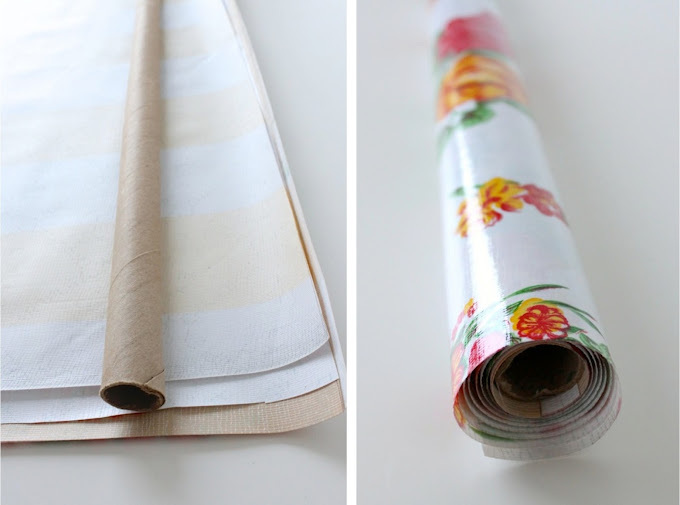 So let’s talk about Oilcloth and get you sewing some projects! It’s a vinyl fabric, with a woven cotton mesh backing. So it’s shiny and plastic-like on one side, and slightly rough on the other side. 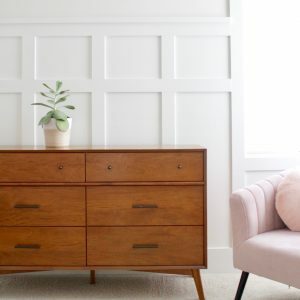 It was originally used in the fishing and sailing industry and was once made of oil-infused canvas fabric—which is where the name Oilcloth comes from. 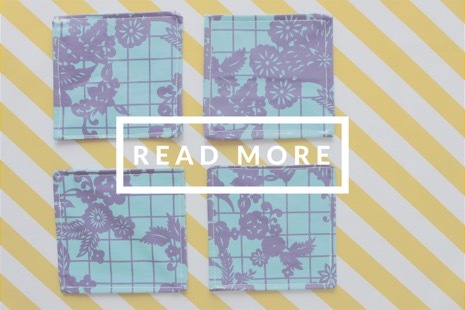 The beauty of Oilcloth is that it’s water resistant!….which means it can be wiped clean. 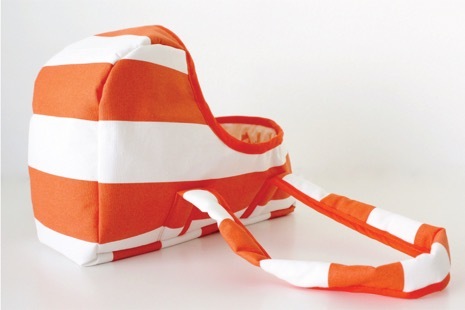 So it’s fantastic for a variety of projects: tablecloths, beach bags, chair coverings, aprons, crafts, etc. 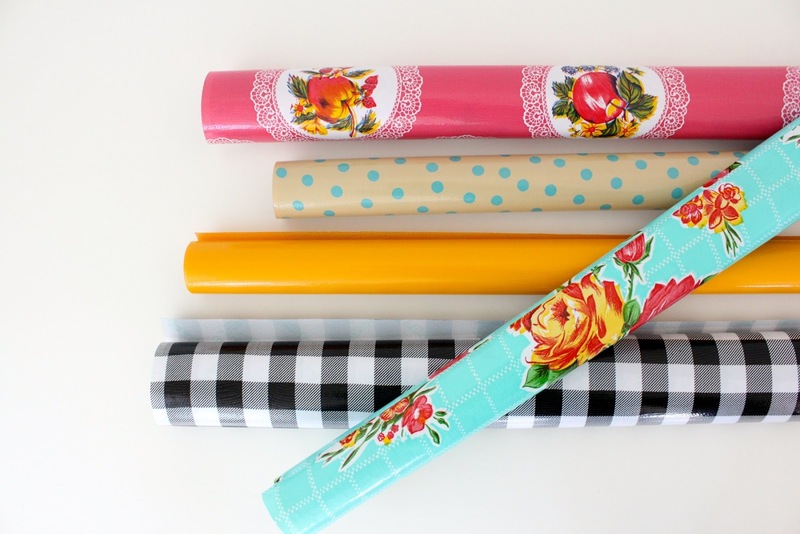 Oilcloth comes in many colors and prints. And the prints are kinda of what gives it that old vintage vibe. 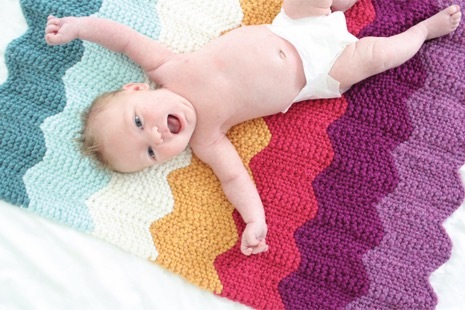 With funky fruit designs, bold color combos, stripes and dots….there’s something for everyone. 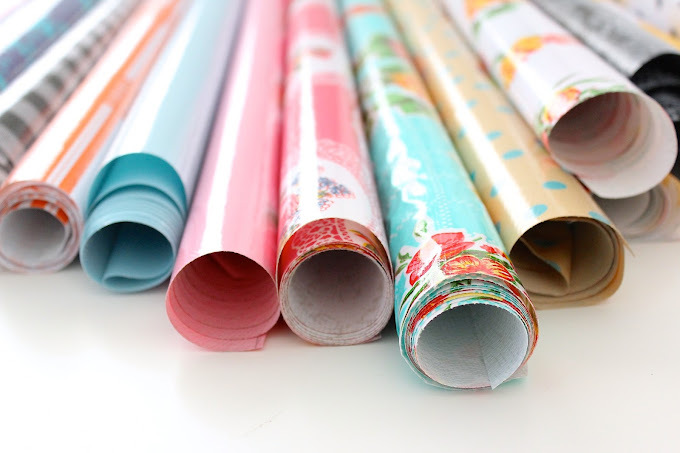 You can purchase Oilcloth in some fabric stores, but online selections are best. Some online stores sell both Oilcloth and Laminated Cotton….which are similar in theory but have their differences. –Oilcloth is a man-made vinyl fabric, it’s slightly stiff, and water-resistant on both sides. When you look up close on the back side of oilcloth you’ll see that stiff mesh backing. 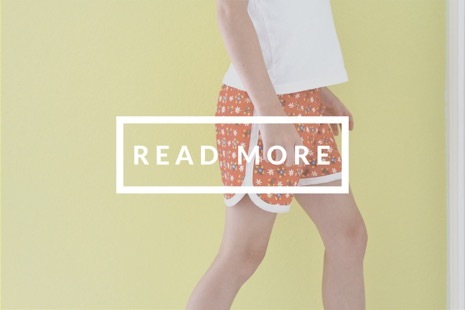 –Laminated cotton is actually part of the cotton fabric family. It’s basically quilting cotton with a thin layer of transparent vinyl over the top. If you look close at the back you’ll see that basic cotton weave. 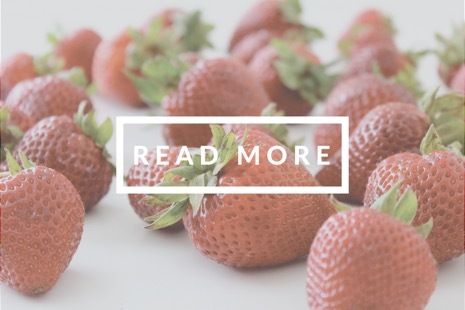 Laminated cotton is softer and more pliable than oilcloth, but it’s also more expensive and potentially less durable. I’ve never done real research on that, but it seems easier to tear and weaken over time. 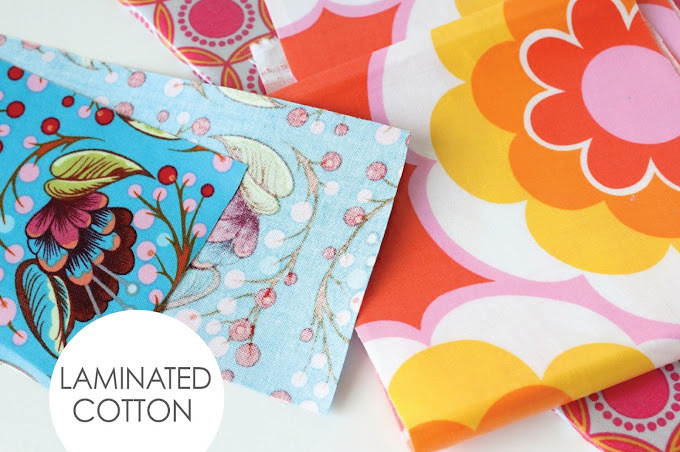 Now you can actually make your own laminated cotton, which is really fun and pretty easy to do! But I’ll have to save that for another post. 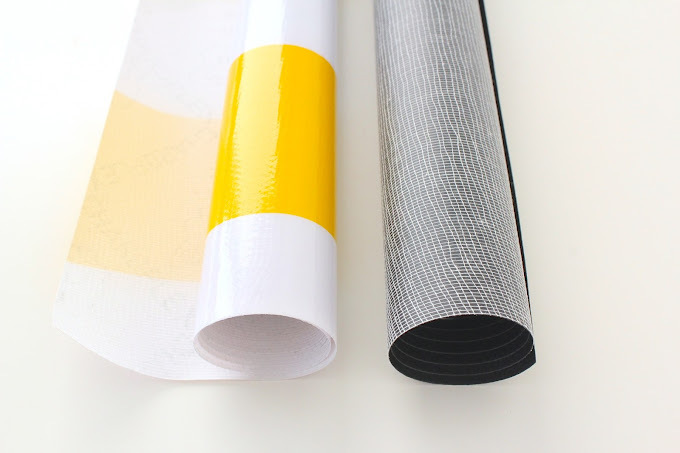 The upside to laminated cotton is that there are more print options than oilcloth. 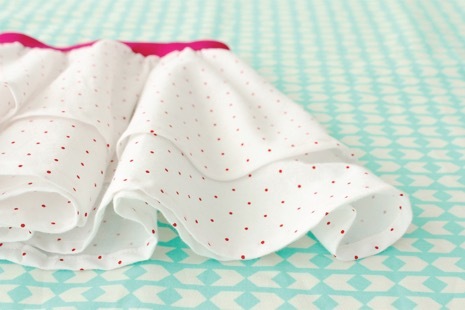 AND it’s a great fabric for baby bibs and baby toys. A while back people used oilcloth for baby bibs, but it should be noted that in the US, the Consumer Product Safety Act prohibits the use of Oilcloth for bibs and toys for children, due to high levels of phthalate softener in the fabric. This means it shouldn’t be used for items that will go directly in someone’s mouth. But there are still plenty of uses for the fun fabric. 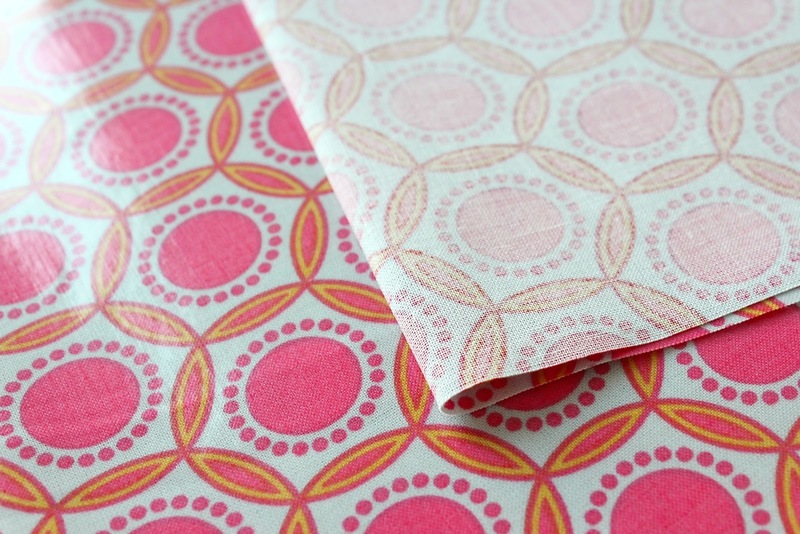 At first glance these pretty rolls might look like wrapping paper. But there’s actually a reason behind the rolls! Because oilcloth is a stiff fabric and will crease easily, it’s best to keep it rolled, rather than folded. When you purchase Oilcloth online, it will be shipped either rolled or folded. 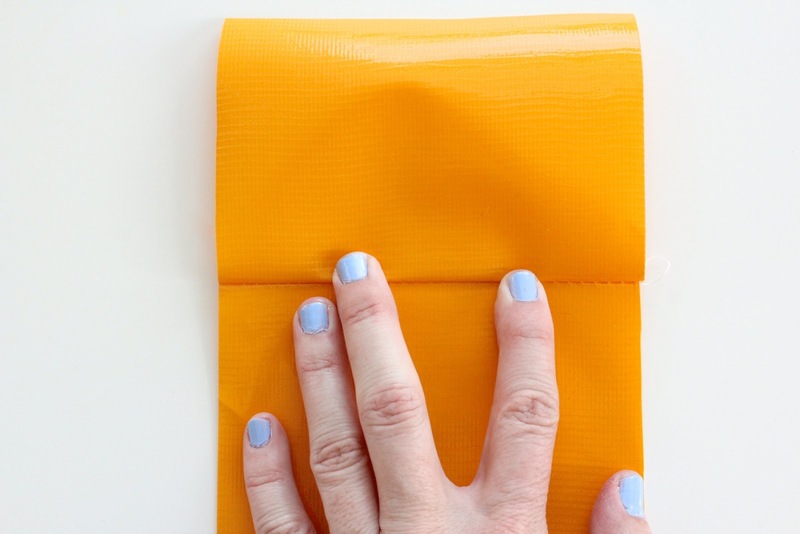 If it was folded, you’ll want to open it up and place it on the floor near a window where the sun can warm it a bit (to get some of the wrinkles out), and then roll it up for storing. 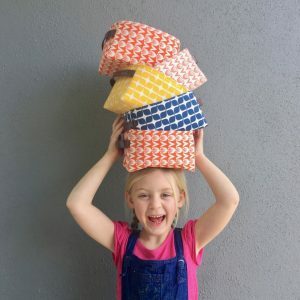 The best method for storing is to layer a few fabrics on top of each other and roll them all up together with a wrapping paper roll inside (I guess it is like wrapping paper!). I like to store the rolled fabric on the floor under my bed, rather than standing up in the corner of my sewing room because gravity starts to pull the oilcloth layers down, and they become smashed at the bottom of the roll. 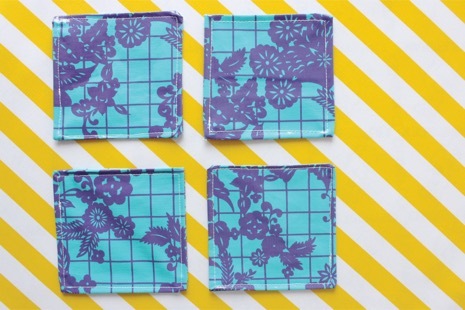 Now here’s the part where I’m supposed to tell you to never iron Oilcloth, because it’s plastic!….and it will melt! A hot iron should never directly touch the fabric. But now I’m going to tell you that you can iron oilcloth if you’re careful. 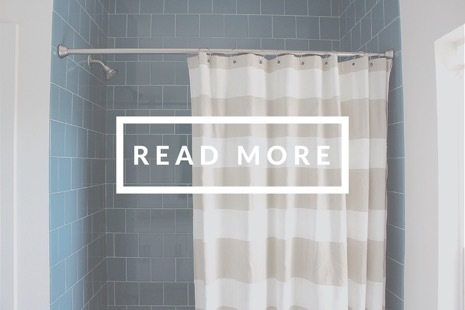 Because let’s be honest, a warm room will never get hard creases out of the fabric no matter how hard the sun tries. So. First try this out on a sample piece of fabric and set your ion on a lower heat setting till you see how the fabric reacts. 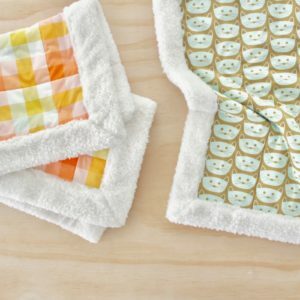 Place a dishcloth or press cloth over the top of the fabric. 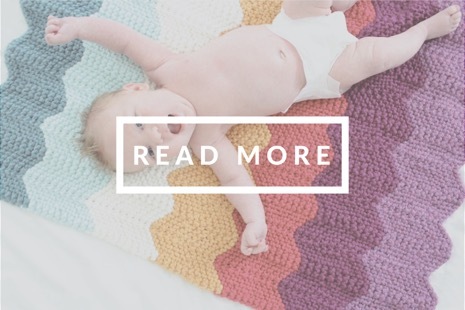 Press for a few seconds at a time on the creased areas. 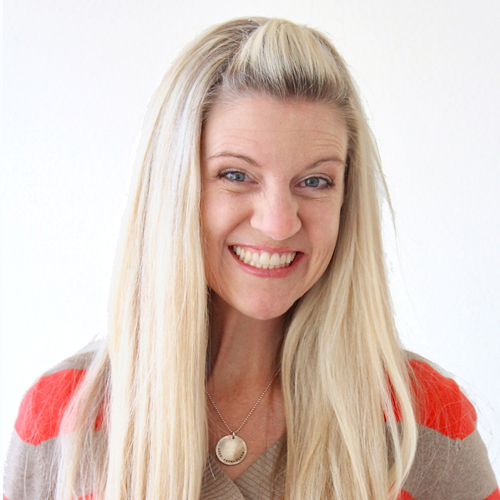 When you lift the iron, the fabric will be warm and pliable….and the creases will be gone! Now when it comes to pressing seams, finger pressing works great—just use your fingers to press down at the seam, like you’re folding a piece of paper. You can cut oilcloth just as you do other fabrics—either with a rotary cutter and mat, or with scissors. And maybe this is just me….but whenever I use scissors to cut through that smooth fabric, it sorta feels like I’m cutting through butter. I love this fabric! At some point we’re actually going to start sewing. PROMISE. 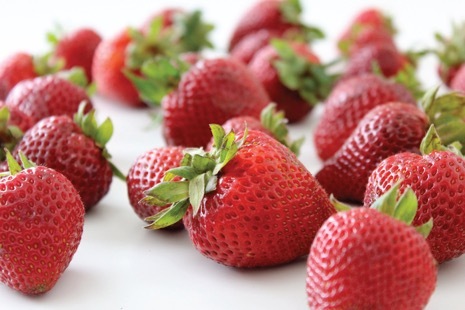 But first let me share a few more tips. 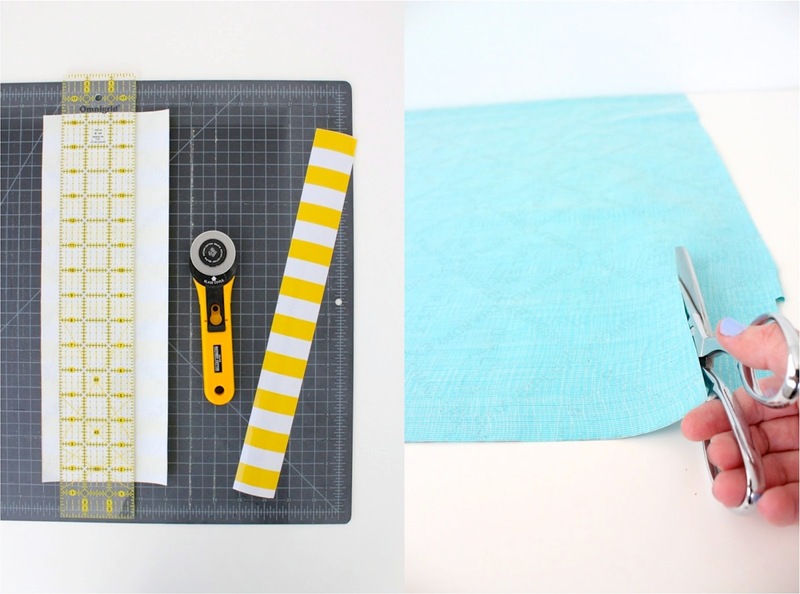 Sewing on the wrong side of oilcloth is easy. 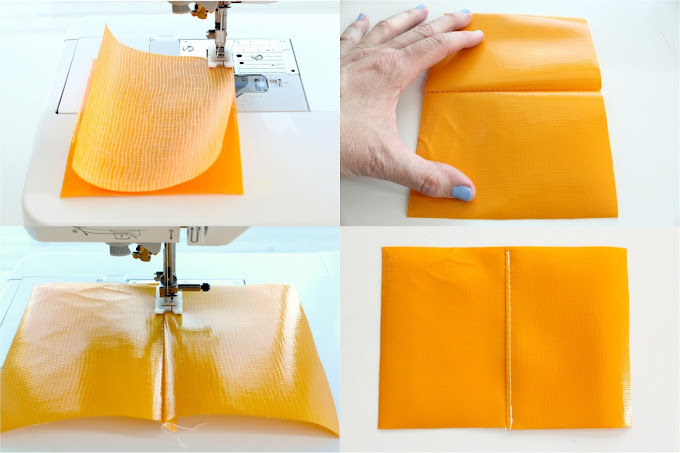 And sewing on the right side of the fabric is easy as well….but because it’s vinyl, the fabric has the tendency to stick under your presser foot as you sew on the right side. Now don’t let that stop you! You can always use the strength of both hands to help feed the fabric through your machine as it sews. 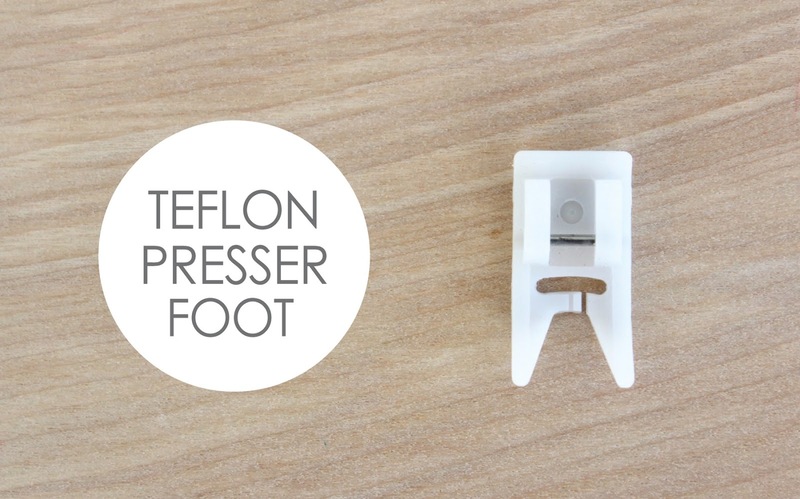 You can place a bit of tape on the bottom of your presser foot to make it more “slippery”. 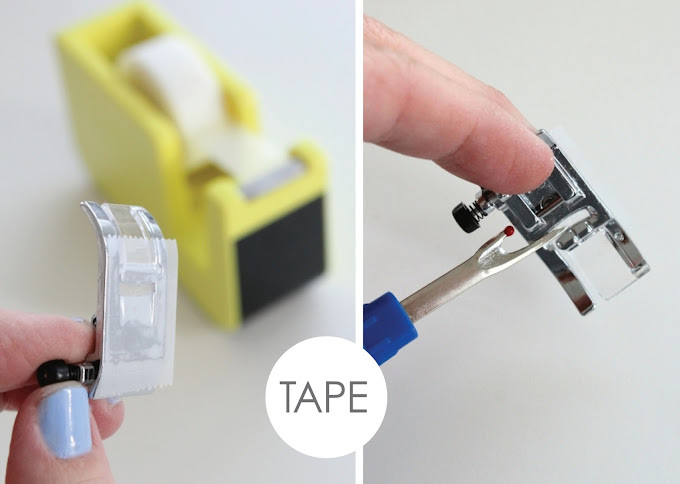 You’ll want to poke out the tape from the presser foot openings, where the needle passes through. This is a good trick, but it’s not a permanent solution. 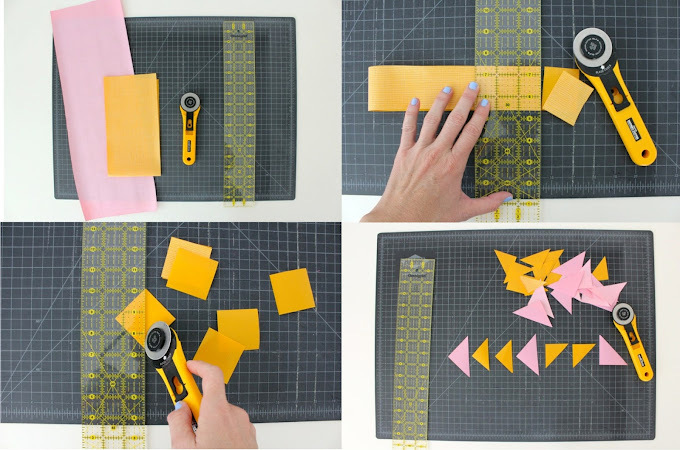 Sandwich the area you’re sewing with a piece of tissue paper on top and bottom and sew. 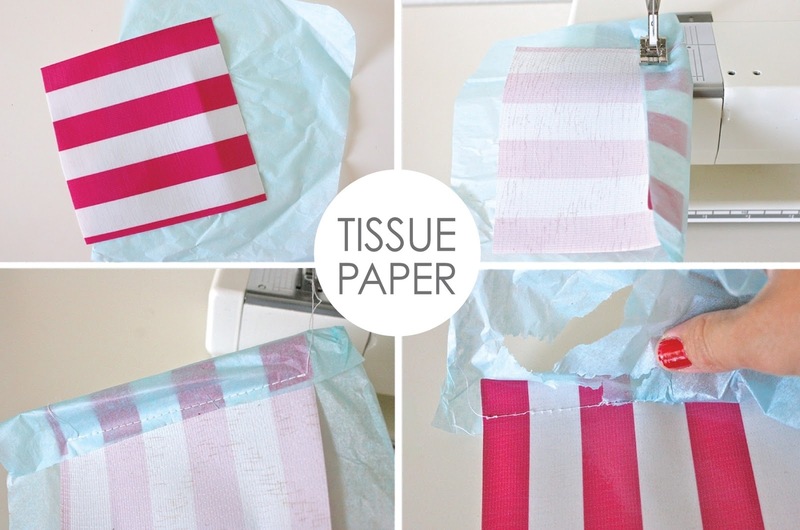 The stitches help to perforate the paper and you can tear it away when you’re done. The downside to this method is that small pieces of paper tend to stick under the thread, so it can be annoying to get the seam really clean. This is my preferred method. A plastic teflon foot just snaps on to your machine and glides smoothly with your fabric. You can purchase it for most machine brands for fairly inexpensive. And it looks like a little tooth. That’s gotta make you smile! You can see in the photos below how the fabric looks, sewing on the wrong side and sewing on the right side. 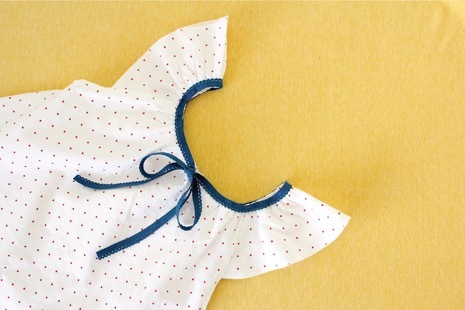 As you sew, the needle pierces the fabric and will leave holes behind. So it’s best to use a slightly longer stitch since small stitches tend to perforate the fabric and may cause the seam to tear over time. Also, after “finger pressing” your fabric, a topstitch is a really nice way to get your seam to lay flat. Just as the machine needle will pierce through the fabric, pins will too. So don’t use them to hold your project together. 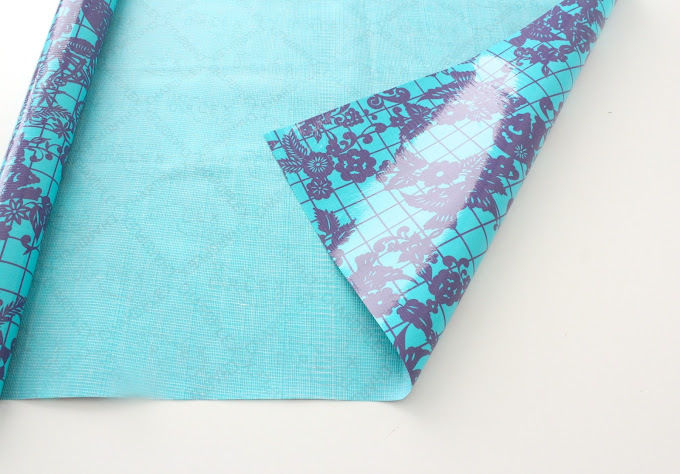 Of course the nice thing about oilcloth is that when right sides of the fabric are together, the plastic layers kind of “stick” to each other, holding your project in place. 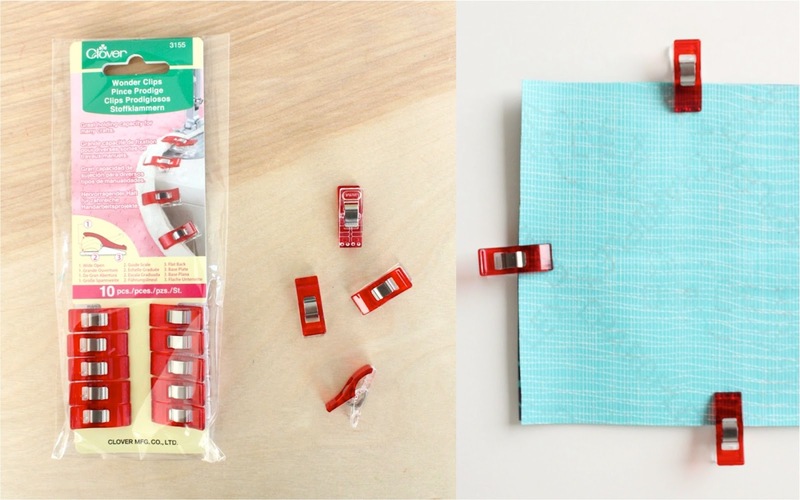 But when you do need to hold things together, use binder clips or these fantastic WONDER CLIPS . Oh I love these! They’re inexpensive and really work wonders! Go buy a pack. They’ll make you happy too. Enough talking. Let’s start sewing! 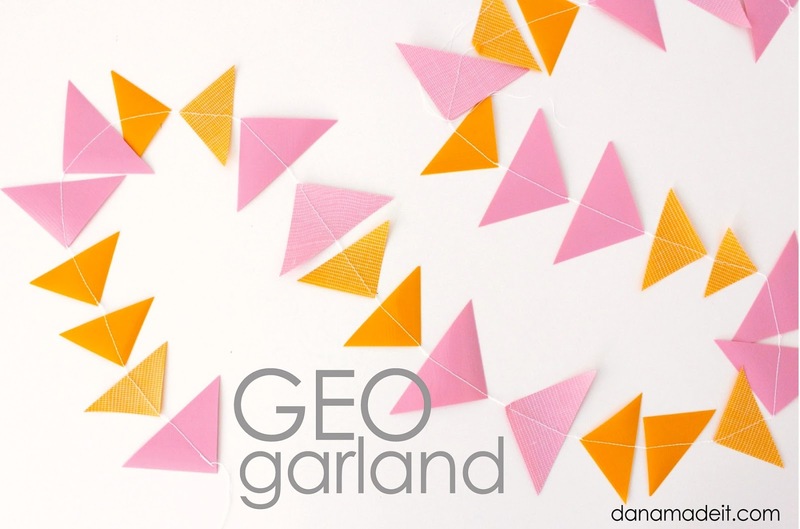 Pick out a few of your favorite prints and let’s make a geo garland…..or a geoilcloth garland?? Okay. You can cut your fabric into any shape. I cut squares of fabric and then cut them into triangles. Okay, leave a tail of thread on the end before you sew, do a little backstitch, and then start sewing right down the middle of the first triangle. Then place the next piece under your presser foot and sew down the middle. I left a small space between each triangle and continued sewing the “blank space” as I went. 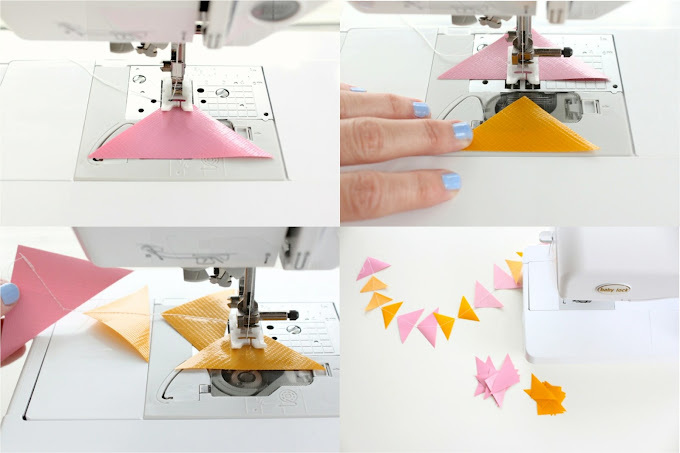 This will create a little chain in between each triangle. When you’re done sewing all your pieces together, leave another thread tail at the end and hang it up! 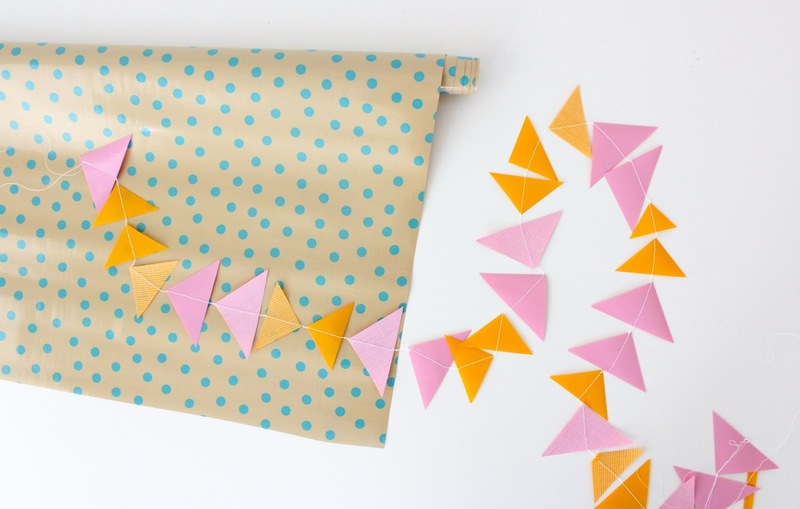 This is a fantastic project for outdoor parties, since oilcloth can get wet. Rain or shine, the party is ready! Okay. Feel more confident sewing with Oilcloth? 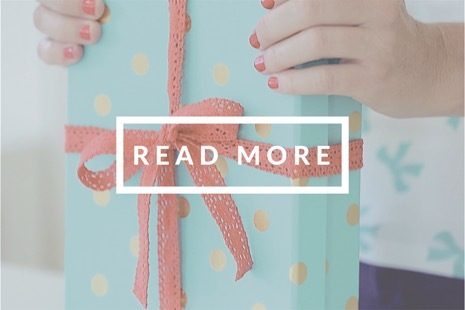 Tomorrow we’ll take it a step further and make a simple gift you can giveaway….or keep for yourself. 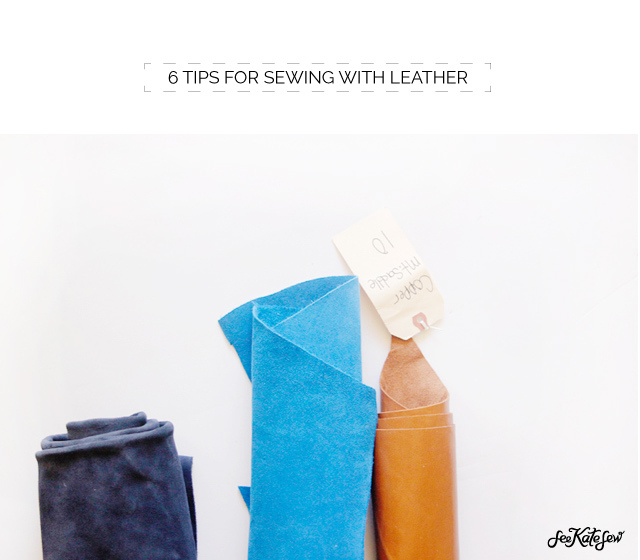 Now head over to See Kate Sew because she’s got 6 tips for sewing with Leather! thanks so much for showing, it is very helpful! New to machine sewing and whenever I go to make one if these garlands my machine goes crazy and my thread ends up as a crazy nest near my bobbin. Is there something that I’m doing wrong? Thanks for the tips! I did one small craft with oilcloth before, but I got so frustrated with how the right side stuck to the presser foot. I’ll have to give it another go with the tape or tissue paper sometime! 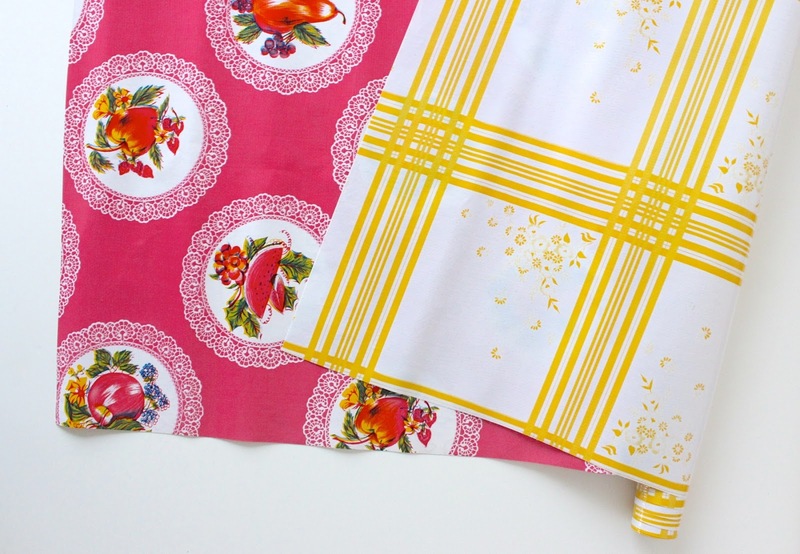 All your oilcloth is so pretty! I have read that the Westminster laminated cottons are bpa and lead free and use polyeurathane backing instead of pvc (vinyl)… still not proven food safe, but at least no vinyl off-gassing (bad in hot cars) and super cute fabric options! 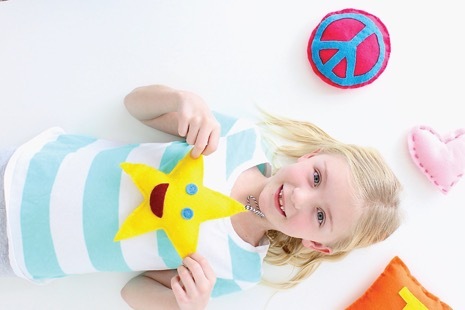 Thanks for the tips on sewing! 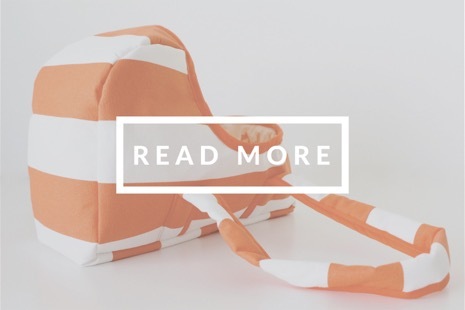 Can u show the detailed tutorial of how you covered your chairs with oilcloth?. LOVE this post. So helpful, thank you so much. Thanks Dana! 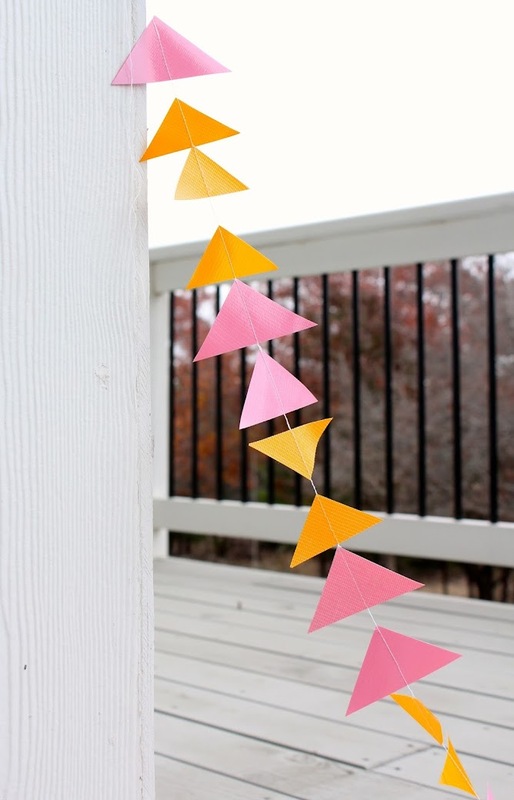 I’m an oil cloth garland junkie. Made a few in my time and my friends are always wanting them as gifts. At the moment my machine is not loving the oil cloth using straight stitch but zig zag is fine and looks just as pretty. I have recovered with oilcloth my new big wheelchair. I allways forget when i’m driving outside that he looks not commen. When suddenly somebody tells me woooh your wheels looking awesome. And yes sewing with oilcloth can be though but, when you know that you don’t must use a too small stich it’s helping. 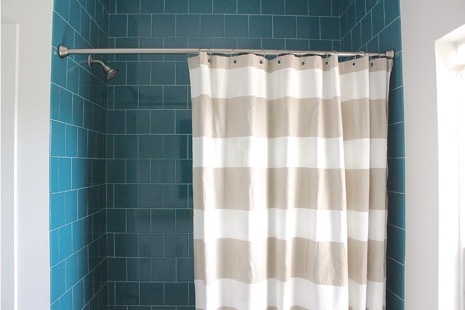 Hi this was great inspiration, however I would like to make a roller/Roman blind for my bathroom! Do you have a tutorial for those? Just wondering what type of needle you used and what type of thread, ie polyester or cotton? Placing the wrinkled folded oilcloth in a tumble dryer on hot for a couple of minutes gets most of the creases out. 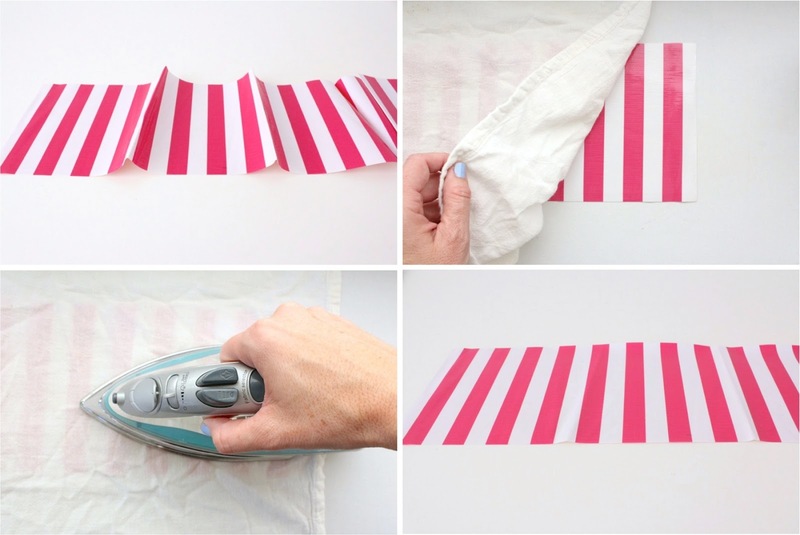 Immediately the oilcloth isremived from the dryer, place in your table and smooth away the remaining wrinkles. 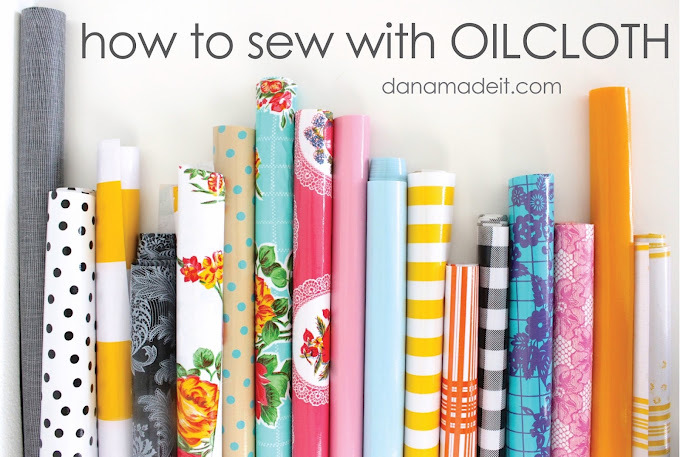 Thanks for all of your tips sewing with oilcloth. I had a tote bag with box corners and it’s pointed part on the outside corner of the bag is already starting to wear. Anyway to prevent this from happening or repair it.